Following on from its much lauded and successful Stellenbosch campus, The Private Hotel School (TPHS) has announced it is to open a second campus in Rosebank, Johannesburg this year. 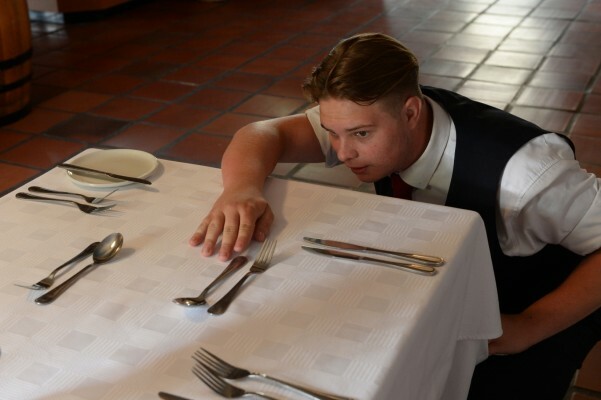 In its 11 years of operation in Stellenbosch, The Private Hotel School has become renowned and esteemed for offering exceptional hospitality training and higher education and for being recognised as one of South Africa's industry leaders in the profession. The premises for the new campus will be located in Keyes Avenue, Rosebank, in the same building as the Johannesburg branch of the Capsicum Culinary Studio. The new facilities are inclusive of conference and lecture venues, a fully operational restaurant, an onsite library, offices and beautiful gardens. Hospitality Management: An introduction to Hospitality and Tourism. Throughout this module many sectors are covered including tourism, recreation, gambling and event planning. Different departments in the conventional hotel will also be explored placing a high emphasis on the Rooms Division, Marketing and Human Resource Management departments, and students will gain a thorough understanding of hospitality consumers and market trends. Social Science: Service Management - introduces students to the universal principles of management. As the standards of hospitality professionalism continue to rise, many employers are now realizing that positive work ethics, attitude and efficient management practices are just as important as an employee’s work experience and/or qualifications. Communication: This module has two components. The first - Business Communication - aims to give students the platform from which to build on all formal communication processes in the workplace. Students will learn to communicate both verbally and non-verbally in a professional context with specific emphasis placed on the correct format of various business communication tools and well as the effective running of meetings and public speaking. The second - Computer Applications - is offered as an integrated module and assessment takes place in the first semester where technical aspects such as grammar, spelling, layout/formatting, referencing and presentation skills are reviewed. Food and Beverage: This module is made up of three components. Food and Beverage Service, which provides students with a strong foundation on the principles of food and beverage service. Students will be introduced to the theory of restaurant service and gain hands-on experience when applying their knowledge and practice their skill during practical sessions in the on-campus restaurant and bar. Students will also be introduced to formal dining etiquette. 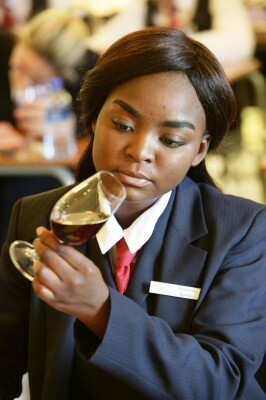 Two Wine Studies modules which will a) provide students with foundational knowledge with regards to the wine industry, viticulture, wine making, wine tasting and the appreciation of food and wine combinations, and b) introduce students to the wine regions of the world and will include wine tasting, they will learn the most important facts about the old and new worlds of wine. This module will contribute to their understanding of the quality control and legal systems of different wine producing countries and regions. 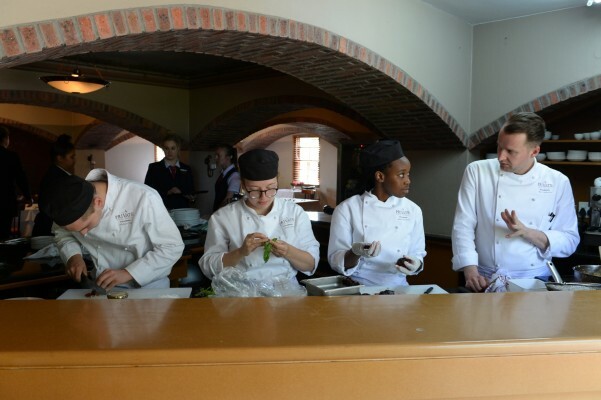 Says Susina Jooste, founder and principal of TPHS: "These are intensive, six month (32 to 64 contact hours) modules introducing concepts and practicalities of hospitality operations. 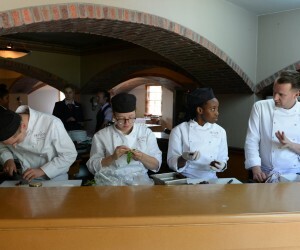 Students will be presented with an overview of the industry, together with an introduction to techniques, from an understanding of the principles of the various disciplines through lectures from subject experts and practical applications such as food and beverage service. "The Private Hotel School provides enrichment modules for students, industry practitioners interested in enhancing their current skills and for those gearing-up for a career shift to be part of the dynamic hospitality industry. Participants have the opportunity to complete one or more modules and receive a certificate of completion." Adds TPHS MD Renee Hill: "Through its partnership with the American Hospitality Academy (AHA), TPHS collaborates with some of the most prestigious members of the USA hospitality industry and academic institutions globally to create a comprehensive International Hotel Management School (IHMS) curriculum. Our curriculum combines innovative and leading edge hospitality instruction with sound practical training and knowledge of the hospitality and tourism industry." Site approval for the Rosebank Campus to be confirmed during 2018.